Cockroaches a growing pest in Saskatoon! 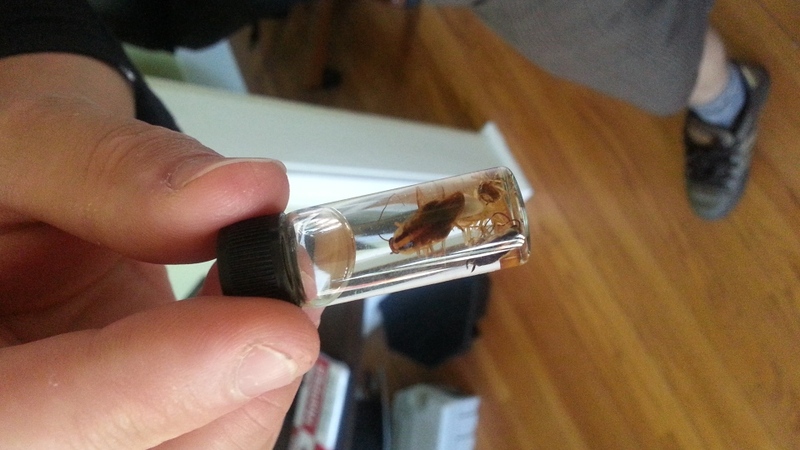 > Blog > News > Cockroaches a growing pest in Saskatoon! David Wilson holds a sample of the kind of cockroach found in Saskatoon apartments. A Saskatoon mother-to-be is scared to sleep in her own home thanks to an infestation of cockroaches. “I’ve been sleeping at my moms,” Shannon, who didn’t want to share her last name out of fear of damaging her rental reputation, said standing in her apartment in Caswell Mannor. The expectant mom signed the lease to the apartment with her boyfriend, hoping for a place their new family could call home, but bugs in the cupboards have forced her out. “We’re just keeping all our food and our clean dishes over here,” she said, pointing away from the kitchen. If you have a pest problem that yo need a hand with, contact us today!